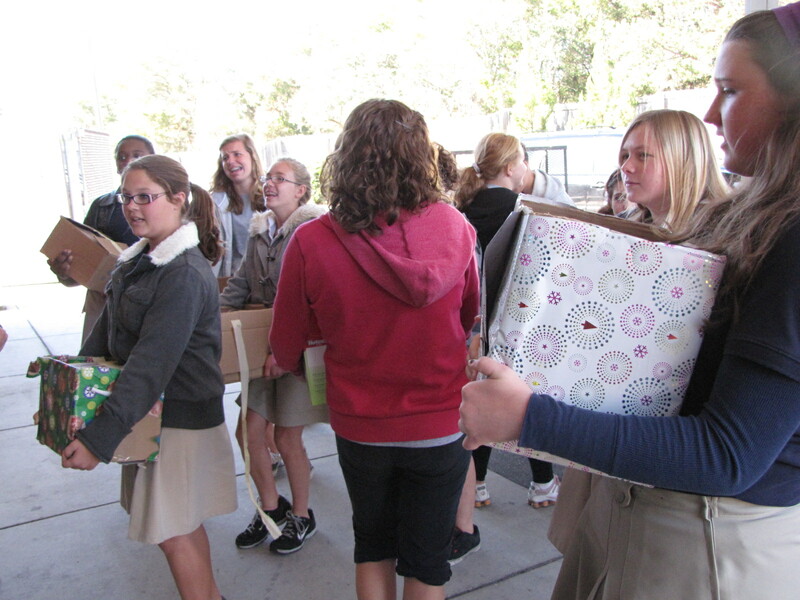 Wow – 2,375 items of food were collected during our food drive – it was a combined effort from the middle school service project as well as an incentive for the Holiday Fair. Thanks to everyone who donated! Will Fassbender’s 8th Grade Language Arts class delivered all the food items collected at Charter Day School to the Good Shepherd Center in Wilmington. The kids did the bulk of the work delivering food for those in need.